Found 9 file extension associations related to Eclipse IDE for C/C++ Developers and 6 file formats developed specifically for use with Eclipse IDE for C/C++ Developers. 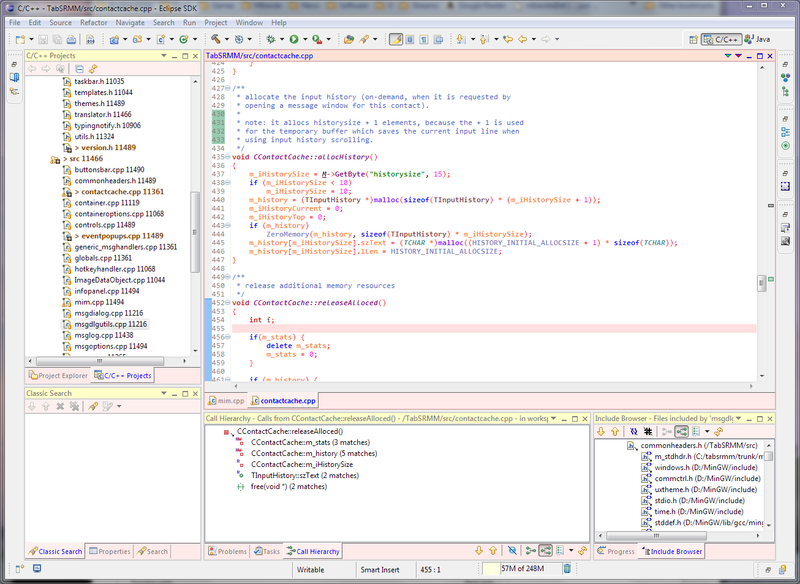 The Eclipse IDE for C/C++ Developers runs on top of the Eclipse Platform. The Eclipse IDE for C/C++ Developers provides advanced functionality for C/C++ developers, including an editor (with syntax highlighting, and code completion), launcher, debugger, search engine and makefile generator. If you need more information please contact the developers of Eclipse IDE for C/C++ Developers (The Eclipse Foundation), or check out their product website.